Six LeBow students took the opportunity to give back to a community that has meant a great deal to their own academic careers when they volunteered to be judges at the New Jersey High School DECA State Conference held on February 26 in Cherry Hill, N.J. DECA, an international organization that engages high school and college students with a focus on business-oriented professional development, organizes local, state and national competitions for its members. 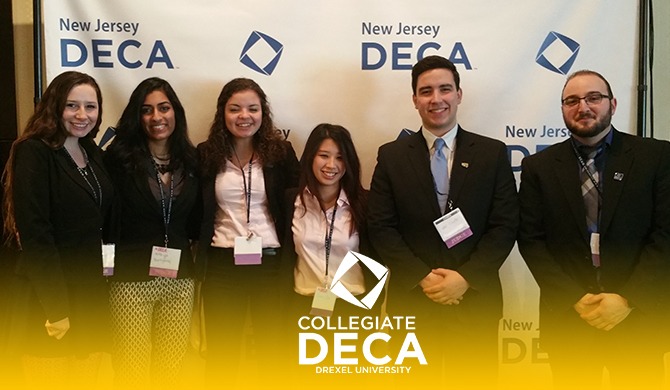 The volunteers, members of the executive board of Drexel’s chapter of DECA, had all participated in DECA competitions in high school and found the switch to the other side of the judging table to be a thrilling change. Their role involved judging the participants’ solutions to the “role-play” or problem that they were presented with. The scores they assigned determined who advanced to the final round, and ultimately, who would move on to the national competition. Being on the judges’ side of the table provided a new perspective. 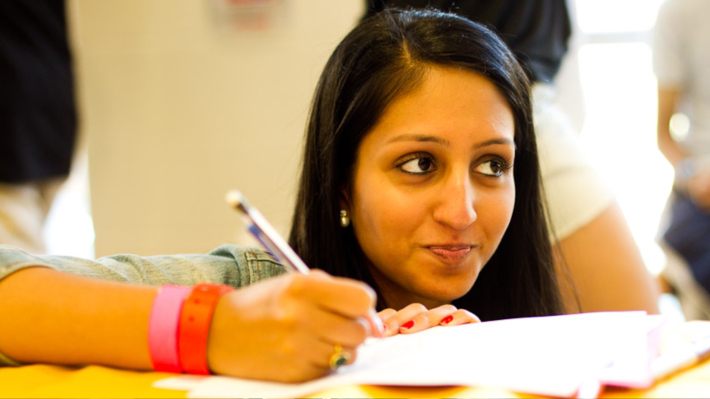 “I was used to approaching problems and coming up with my own solution. It was interesting to compare their ideas for solving each problem,” says Roger Kfoury, Drexel DECA’s director of marketing. Judging the competition offered a chance for Roger Kfoury, Andrew Cupo, Alexis Serra, Nithya Thangaraj, Connie Chu and Elle Savage to give back to a community that remains a big part of their lives. Feeling the excitement of the students and the spirit of competition also energized their own efforts to stage a college-level competition at Drexel next winter - a first for the chapter which was founded in 2011. For more information about Drexel DECA, contact them via email or follow them on Facebook. Drexel DECA hosted their second annual Mid Atlantic Regional Conference in Gerri C. LeBow Hall. Executives from Comcast Business challenged eight teams to present ideas for breaking through their customers’ apathy about upgrading to faster internet service.